Lets discuss some interesting programs on this keyword. Now its time to practice some programs on this keyword. Try to guess the output of the following java programming questions on this keyword. Some interesting java programming interview questions and answers for freshers and experienced. Program #1: Java interview programming question on this keyword. Program #2: Java interview programming question on this keyword. 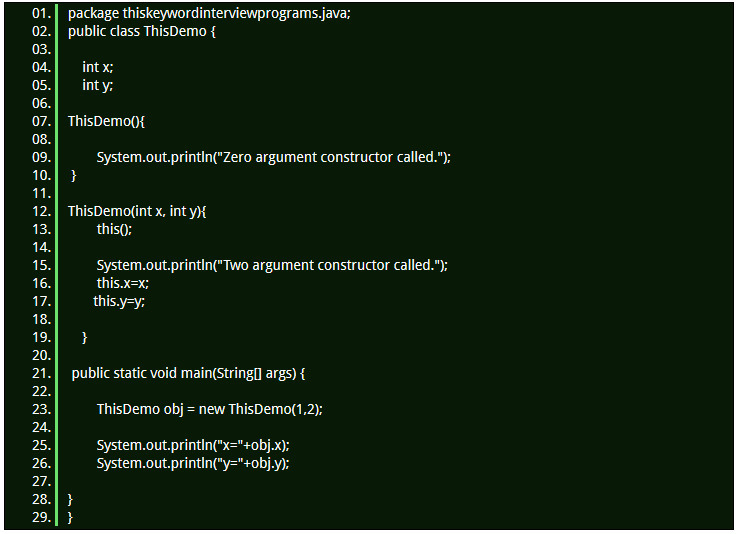 Program #3: Java Interview programming example on this keyword. 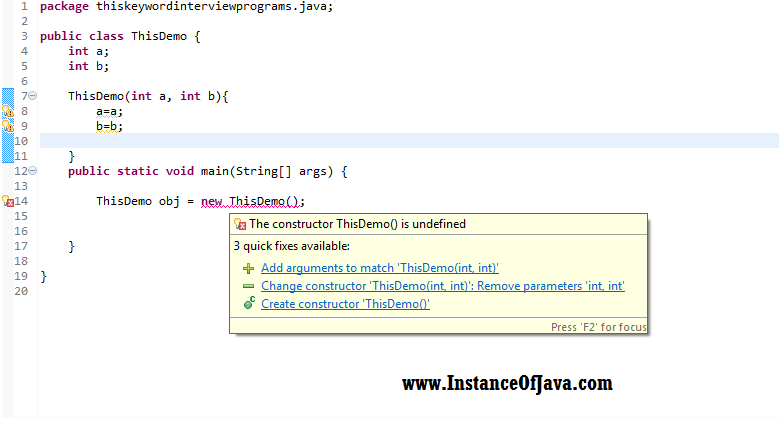 Program #4: Java interview programming question on this keyword.